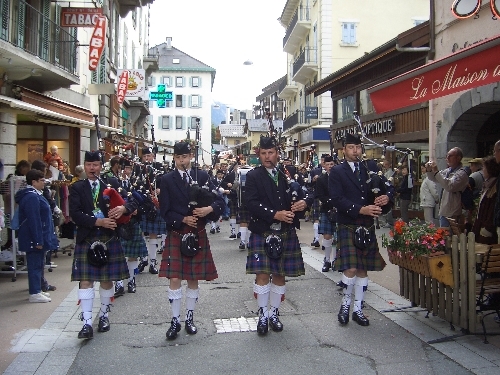 The '98 Highlanders Pipes and Drums' were formed in July 2007 to perform at the 'Celtica' Festival, Val d' Aosta, in Northern Italy and Chamonix France. 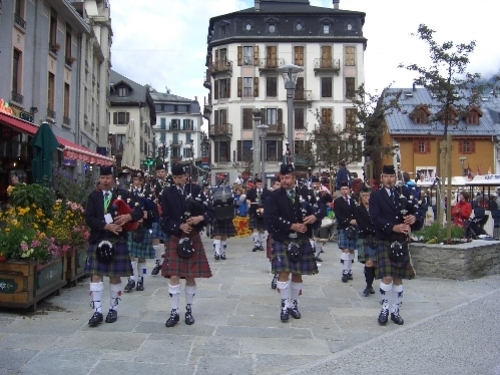 We performed a number of concerts in memory of piper and composer Gordon Duncan, who passed away in December 2005. See www.gordonduncan.co.uk. 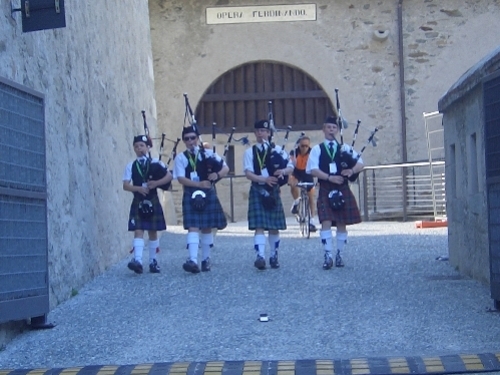 The young pipers, Alex, Kyle, Colin and George marching down from a Castle in Italy!!! There's no way that cyclist will catch up! Me & Sian!!! 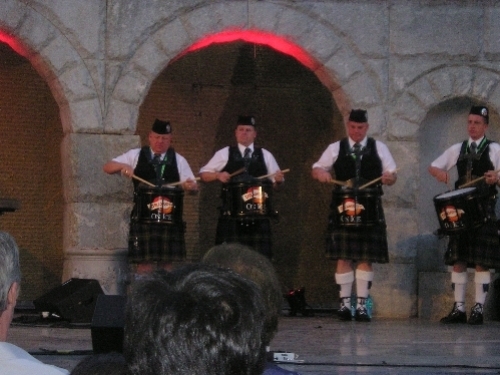 We piped/drummed all the way up to the top of the Castle on the hill. 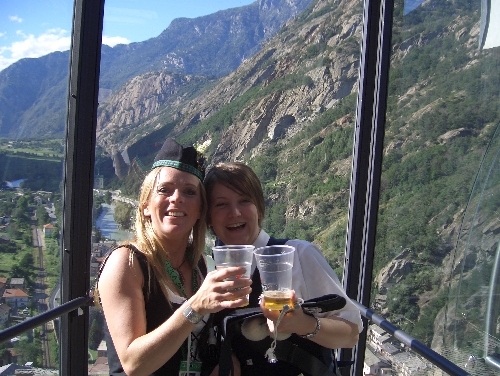 After 3 hours playing, we deserved a pint, coming back down the hill!! 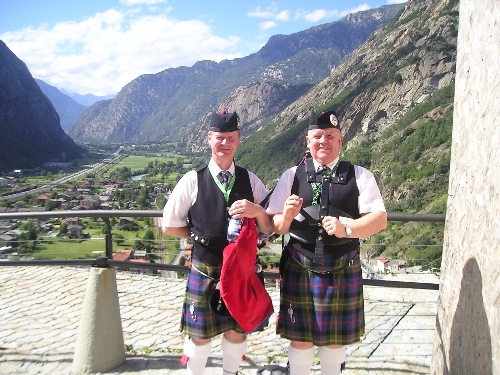 Written by Pipe Major Ian Duncan's brother, composer and piper Gordon Duncan! 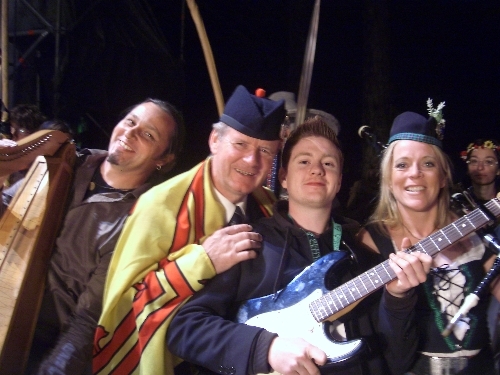 Leading Drummer Alex Dudgeon with Dougie, Billy and Rene!! 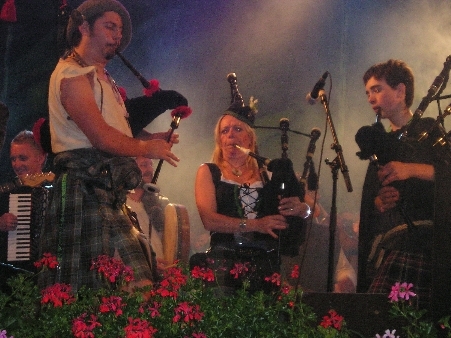 Showin what they're made of - playing Gordon's 98 Jig!!! Relaxing in the Italian Sun! Think Ian was looking for a Euro in his sporran to buy a refreshment! 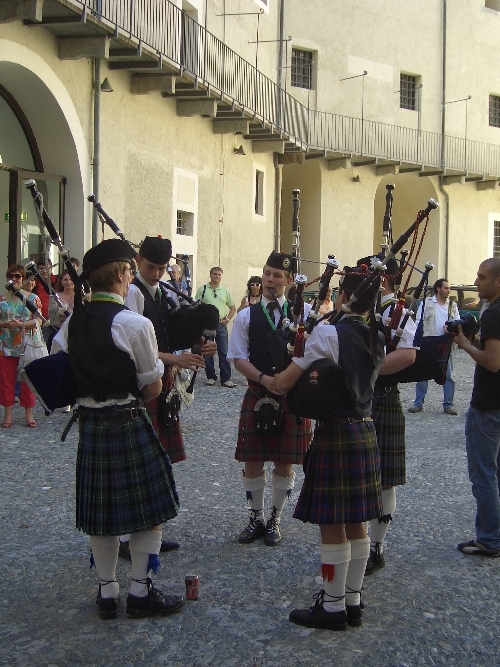 There's the young 98 Highlanders (and pipers with the National Youth Pipe Band of Scotland)!! 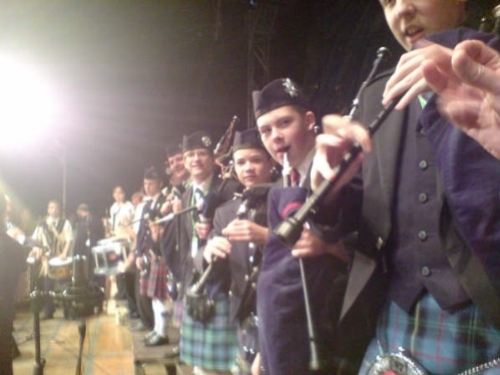 Some of the finest young pipers in Scotland! My Glengarry kept slipping and only just managed to stay on!! 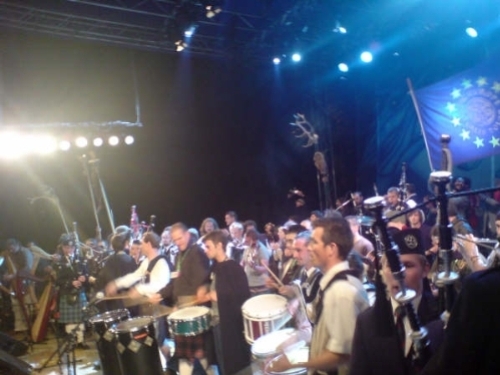 The 98 Higlanders, Breton/Italian bands etc.etc!! 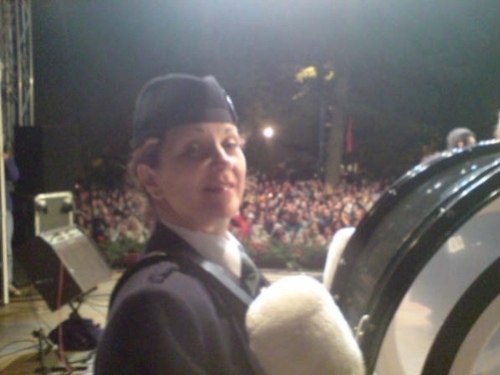 There's Chris (Mrs Duncan) - keeping all the band together on bass!!! 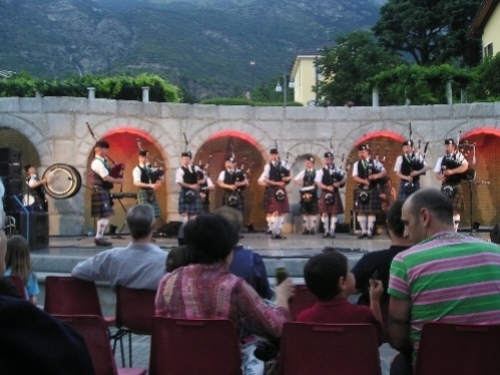 Concert in Val d'Aosta on the final evening of the trip! 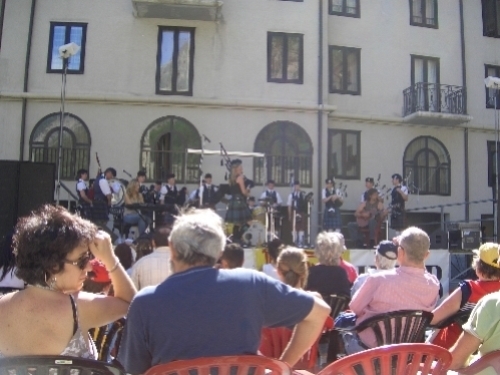 About 200 musicians on stage having a great time!